I'd list just how many dangling plot threads this story arc will be violently yanking on, but there's a lot of them. Also, they would be spoilers. I scripted as much as I could in advance for this arc, but I did so in the form of actual scripts. I'm deciding how they ultimately get divided up by panel and page as I go, which isn't what I've done in the past. In the past, I've written page by page, panel by panel. That proved way too awkward to try and write ahead with, however, hence making the scripts a bit more literal. 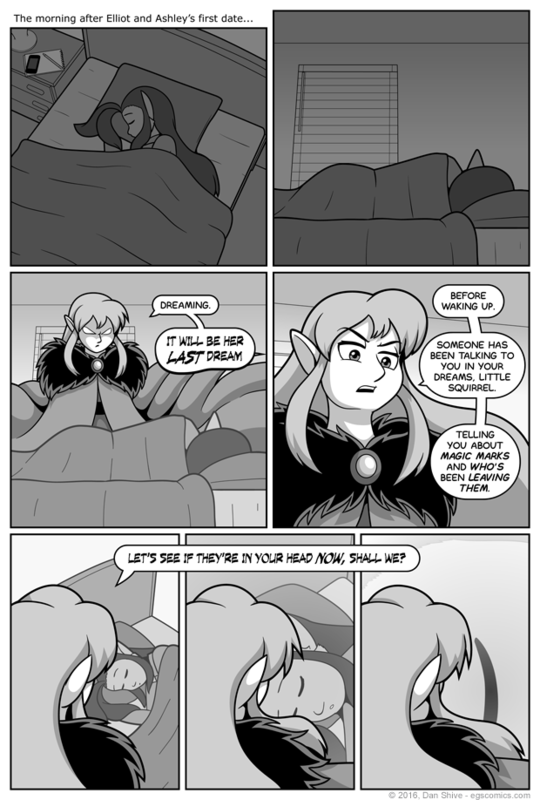 I bring this up was because I didn't know I'd be doing the "it will be her last dream" bit prior to working on the final version of the comic itself. I think I like this system.